Many employers are now allowing employees to work from home or are hiring freelancers. This practice is a win-win situation for both the employer and the employee, as it saves both parties money: the employer does not have to pay for office space for the employee and the employee doesn’t have to commute every day. This also allows for an employer to hire people from anywhere in the country or overseas. The problem with hiring freelancers or allowing employees to work from home becomes evident when the employer needs to schedule a meeting, especially when some employees or contractors live more than an hour away from the office. Collaborative tools solve the problem. 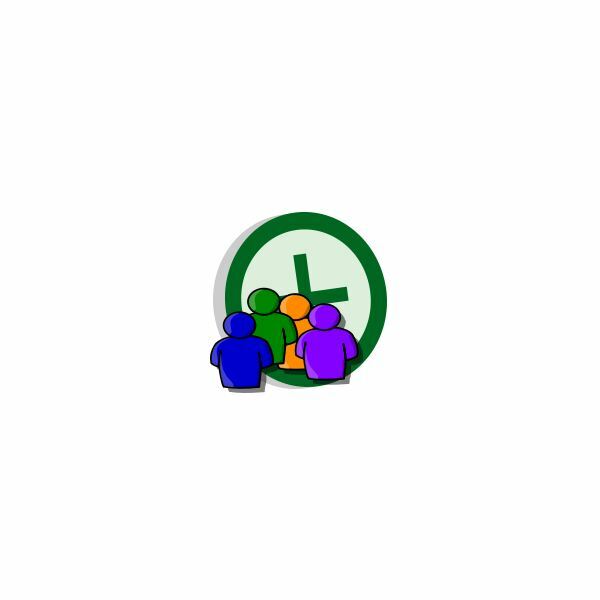 These tools allow employees to meet with each other or for the employer to have a meeting with all employees at once. Collaborative tools also allow more than one person to work on a document if the document is not on a server. This is another benefit for employers who allow telecommuting. A document could be saved in Google Docs and password protected allowing only certain employees access to the document. Collaboration programs allow employees to work together on documents and allows employers to schedule meetings for employees without requiring a person to be physically in the office. This allows more freedom for an employer to hire a 1099 employee or to allow W-2 employees to work from home. While there may be several obstacles to installing a collaboration system that works for any browser, those obstacles have been overcome with the advent of web-based collaboration systems. With the use of sites such as YouTube for video presentations, Google Apps for documentation and several others, compatibility is rarely an issue. Before blindly purchasing or using a free collaboration program, assess the programs and what it takes to implement them. Determine what you need to make the project successful. Is the free collaboration system available via Google Docs enough for your company? Do you need something that provides for video conferencing? Outline a plan to determine what you need, then purchase or locate a free collaboration program that meets your needs. As of 2011, several new or upgraded methods of collaboration were released, allowing businesses, small and large alike, to put together a collaboration system to facilitate employee communication. Many of these now integrate social networking sites such as Facebook. Create the best collaboration environment for your business. Make sure that each individual is represented and allow team members to give input into the system. Establish protocols for meetings and document collaboration. Set goals for projects. Learn how to make collaboration work for you. Put together your own collaboration project with free online tools such as Stixy and Google Docs. These online tools allow your employers and employees to work together on documents and use a whiteboard. Here's a quick guide to some of the best sites that provide these types of resources. Google Apps provides easy collaboration tools for a small business or home office. The standard edition is free and features a calendar, word processing, spreadsheets and a presentation tool. Google’s collaborative calendar allows office employers and employees — those who work in the office and out of the office — to schedule and plan without having to email calendars back and forth. Attach each employee’s account to the calendar to make scheduling easier. Edmondo was originally set up for students and teachers, but it offers a free private platform that could be used for collaboration among work groups and project management teams. It allows for email notifications, a calendar, group comment posting and RSS feed ability. If you do not need an extensive collaboration program, you could try some stand-alone online products, such as discussion forums and blogs, or Microsoft’s OneNote program. You could also integrate Google Apps for word processing and spreadsheets. Many forums provide add-ons for calendars. This would keep staff from having to keep track of emails as they would simply log into a private forum or blog. TextFlow allows for collaboration on a document as many people may review and edit the document at the same time. Each user’s input is added in a different color on the side of the document. The person initiating the request is able to accept the suggested change, reject it or edit it. Review five different collaboration software applications including GanttProject and PHProjekt. These collaboration applications allow users to define milestones and create task breakdown structures among many other features. Scheduling is one of the most troublesome tasks if you have to try to coordinate between many people. Online calendar collaboration streamlines this process, thus saving you a lot of time and money. We've also included some timely information on high-tech solutions such as mobile apps. If you need to hold a meeting of several employees that work out of the office, instead of trying to schedule a time when everyone can come in, which would include travel time and expense, you may be trying to schedule forever, or it may cost the company excessive money if employees live in a different state. These online meeting tools allow for video conferencing, and saves a company thousands of dollars—or more—in overhead. Microsoft Office Communicator allows for instant messaging, VoIP, video conferencing and it integrates with other Microsoft products. Other collaborative features include whiteboard documents, PowerPoint documents and desktop sharing.